Listed below are flower, vegetable and herb varieties that are great to start planting in the different months based on the Hardiness Zone that you live in. January is a great time to start planning what vegetable varieties to be grown in the garden. Look through your catalogs and find the vegetable seeds for your garden. Some flower varieties should be started in January. In a warmer environment you can plant certain vegetables, but must be ready for a frost. Indoor herbs are always great to grow in a sunny windowsill. If you live in Zones 8-10, get a head start on the growing season by starting your tomato, pepper and eggplant seeds indoors. Most tomatoes and peppers will take 6-8 weeks to reach transplant size so plan according to your climate! If you live in a warmer climate, like Zones 8-10, and can find a quick growing Broccoli variety, you can harvest until it bolts in the hot summer sun! Late January is a great time to start your onion seeds indoors if you live in Zones 8-10. For Zones 3-7 start your onion seeds in late February. Let the onions grow to 5-6 inches tall and cut tops off so they will be only 3 inches. Repeating this until they are transplanted helps strengthen the roots and health of the onions. Now is a great time to get your spring flowers germinating and ready for spring! There are many different varieties of annuals and perennials with different grow times. Pay attention to grow times so that your flowers are ready to be planted after last frost. Below are some good varieties to start in January if you are in Zone 8-10 for a last frost in March and April! Get your garden planning started! In some warmer locations, you can begin sowing your vegetable seeds outdoors. For cooler areas, February is a great time to sow your tomatoes and peppers. You should start drawing out your garden for all the vegetables you want to grow. In late February, there are several cool weather vegetables you can directly sow out in the garden. If you live in Zones 7-10, and can find a quick growing Broccoli variety, you can harvest until it bolts in the hot summer sun! In Zones 7-10, start a crop of salad mix greens that gets bright sun, but not all day. Great for spring crops until the lettuce begins to bolt in the summer sun! Get those onion seeds growing! Zones 7-10 should plant long day onions, and Zones 3-6 should plant short day onions. Be careful to select an onion variety appropriate for your climate! Fresh, crisp peppers are a garden favorite. Peppers take up little space and can produce high yields when planted close together. Plant as many different varieties as possible! They come small, big, hot, mild, and an array of different colors. For Zones 7-10, start seeds 8-10 weeks before your last frost date indoors for best results. The most popular garden vegetable! Growing tomatoes is not only fun, but treats you to some of the best tasting fruits in the world. Tomatoes come in many colors, shapes, taste, and sizes. Grow a few varieties every year to find your favorites! 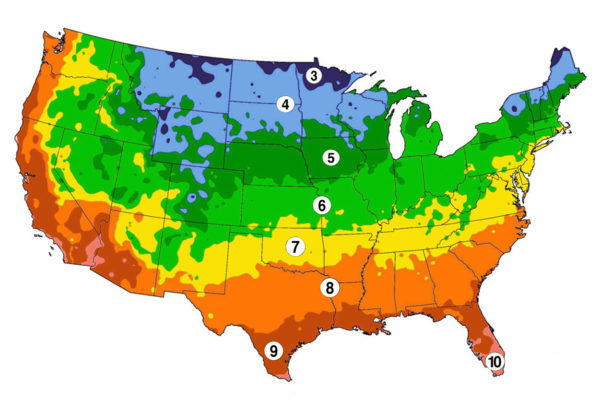 For Zones 7-10 start seeds 6-8 weeks before your last frost date indoors for best results. Now is a great time to get your spring flowers germinating and ready for spring! There are many different varieties of annuals and perennials with different grow times. Pay attention to grow times so that your flowers are ready to be planted after last frost. Below are some good varieties to start in January if you are in Zone 7-10 for a last frost in March and April! March is the perfect time to get those tomato and pepper seeds started indoors ready for an early spring planting! Also a great time to start planting those cool weather vegetables that can withstand those last frost days of March and April. The most popular garden vegetable! Growing tomatoes is not only fun, but treats you to some of the best tasting fruits in the world. Tomatoes come in many colors, shapes, taste, and sizes. Start growing a few varieties every year to find your favorites! For Zones 5-10, start seeds 6-8 weeks before your last frost date indoors for best results. For Zones 5-10, sow beets now for a fast, early summer treat! If you live in Zones 5-10 and can find a quick growing Broccoli variety, you can harvest until it bolts in the hot summer sun! Cabbage is one of the easier plants to grow in the garden. In Zones 5-10, be sure to select a variety that is right for your location (size and maturity length). Fertilize and water when cabbage head begins to form! For Zones 5-10, start carrot seeds indoors so you can transplant them outdoors in early to mid May. Corn is one of the most rewarding and fast growing crops to grow! Corn is delicious when cooked only minutes after being pulled off the stalk. For Zones 5-10, try a small plot of corn, working your way to a large field of several varieties. Fast growing vine or bush cucumber plants can produce an abundance of cucumber fruits. Be careful to pick a variety for the space you have in your garden! Vine cucumbers can be the best tasting, but need far more space than bush varieties. For Zones 5 and 6, start seeds indoors so you can transplant them outdoors between April and June. For Zones 5-10, start a crop of salad mix greens that gets bright sun, but not all day. Great for late summer and early fall crops! Melons are some of the most rewarding plants to grow. For Zones 5-10, start seeds indoors for a head start on your summer garden. Great for hot, long summers and a staple for summer picnics and family fun! Get those onion seeds growing! Be careful to select an onion variety appropriate for your garden zone. Northern areas should plant long day onions, and Southern regions should plant short day onions. If you live in Zones 5-10, you should start transplanting your onions outdoors. For Zones 5-10, green peas and sugar peas are good to start 4 to 6 weeks before the last spring frost to yield a summer harvest. Spinach is a good cool weather vegetable and will produce until hot weather of summer. For Zones 5-10, planting in early March will ensure you have plenty of harvest before bolting! Summer Squash, yum! For Zoness 5-10, starting in March and sowing in June will lead to fresh squash and zucchini for the hot summer. Yes, Yes, Yes! April is finally here and your garden soil is finally warming up! April is the best time to plant most of your vegetable seeds after your last frost. It’s still not too late to plant tomatoes and peppers from seeds as well. Be sure to check your gardening zone for last frost dates. Start planting both bush and pole beans now that the soil and air are warmed up. Try a continual 7-10 day sowing of different varieties, this will give you continual bean crops and not one large harvest with wasted crop! All Zones can sow beets now for a fast, early summer treat! Cabbage is one of the easier plants to grow in the garden. Sown in April will lead to a summer harvest! Select a variety that is right for your location (size and maturity length) and be sure to fertilize and water when cabbage head begins to form. Planting carrots outdoors in April will give an early summer crop! Corn is one of the most rewarding and fast growing crops to grow! Corn is delicious when cooked only minutes after being pulled off the stalk. Try a small plot of corn, working your way to a large field of several varieties. Fast growing vine or bush cucumber plants can produce an abundance of cucumber fruits for a summer harvest. Be careful to pick a variety for the space you have in your garden. Vine cucumbers can be the best tasting, but need far more space than bush varieties. Now you can start to plant heat loving herbs like basil, oregano, cilantro, thyme and sage. Planting lettuce in late spring is great for late summer and early fall crops! Melons are great for hot, long summers and a staple for summer picnics and family fun! Start seeds indoors and transplant outdoors after 6-8 weeks. If you haven’t already, start planting your onions! Be careful to select an onion variety appropriate for your garden zone. If you are in a cooler climate, plant long day onions and if you are in a warmer climate, plant short day onions. Green peas and sugar peas are good to plant in April, producing a May crop! Fresh, crisp peppers are a garden favorite and can produce high yields when planted close together. Plant as many different varieties as possible! They come small, big, hot, mild and an array of different colors. If you haven’t already planted your peppers outdoors, start now! Summer squash, yum! Planting summer squash in late April will lead to fresh, tasty squash and zucchini in the summer. If you haven’t already started your tomato seeds, start now! Planting tomatoes is not only fun, but treats you to some of the best tasting fruits in the world! Tomatoes come in many colors, shapes, taste, and sizes. Grow a few varieties every year to find your favorites! Finally warm temperatures are here to stay and you don’t have to worry about that frost! You may think it’s too late to grow all your favorite vegetables from seeds, but warm May temperatures have made the soil perfect for sowing seeds. Warm soil will allow for fast germination and growing plants! Good choices are summertime kitchen garden staples like squash, beans, cucumbers and melons. You can still plant both bush and pole beans now that the soil and air are warmed up. Try a continual 7-10 day sowing of different varieties. This will give you continual bean crops and not one large harvest with wasted crop. Sow beets now for a fast, yummy summer treat! Cabbage is one of the easier plants to grow in the garden! Select a variety that is right for your location (size and maturity length). Be sure to fertilize and water when cabbage head begins to form. Starting carrots now so they can be planted by mid-July yields a fall crop that will keep in the garden until used! Corn is one of the most rewarding and fast growing crops to grow and is delicious when cooked only minutes after being pulled off the stalk. Try a small plot of corn, working your way to a large field of several varieties! Fast growing vine or bush cucumber plants can produce an abundance of cucumber fruits for the hot summer! Be careful to pick a variety for the space you have in your garden. Vine cucumbers can be the best tasting, but need far more space than bush varieties. Plant heat loving herbs like basil, oregano, Dill and Sage indoors or outdoors! Melons are great for hot, long summers and a staple for summer picnics and family fun! Fresh, crisp peppers are a garden favorite. Peppers take up little space and can produce high yields when planted close together. It’s not too late to plant as many different varieties as possible! They come small, big, hot, mild, and an array of different colors. Summer squash, yum! Summer squash sowing in May will lead to fresh squash and zucchini for July! The most popular garden vegetable! Growing tomatoes is not only fun, but treats you to some of the best tasting fruits in the world. Tomatoes come in many colors, shapes, taste, and sizes. Grow a few varieties every year to find your favorites! May is the time to transplant if you haven’t already. Most fruiting plants like tomatoes, peppers, and eggplants should already be in the ground. Many vegetables though will grow and produce even more quickly from seed planted in early summer when the soil is well warmed up and teeming with life. Beans are great for a June planting. Fast growing in warm soil will give you a crop in as little as 35 days with some varieties. Sow beets now for a fast, mid-summer treat. Cabbage is one of the easier plants to grow in the garden. Select a variety that is right for your location (size and maturity length). Be sure to fertilize and water when cabbage head begins to form. Planting carrots by mid-June yields a late summer crop that will keep in the garden until used. One of the most rewarding and fast growing crops to grow. Corn is delicious when cooked only minutes after being pulled off the stalk. Try a small plot of corn, working your way to a large field of several varieties. Fast growing vine or bush cucumber plants can produce an abundance of cucumber fruits. Be careful to pick a variety for the space you have in your garden. Vine cucumbers can be the best tasting but need far more space than bush varieties. Plant heat loving herbs like basil, oregano, thyme and sage. Melons are some of the most rewarding plants to grow. Great for hot, long summers. A staple for summer picnics and family fun. Green peas and sugar peas are good to plant in July, and will produce a great summer crop of fresh, crisp peas. Yum! Summer squash sowing in June will lead to fresh squash and zucchini in July and August. There are still some great crops that can be planted that will keep your garden pumping out vegetables well into the fall. Start planting both bush and pole beans now that the soil and air are warmed up. Try a continual 7-10 day sowing of different varieties. This will give you continual bean crops and not one large harvest with wasted crop. Broccoli can be planted in the fall to produce a crop well into November. Planting carrots by mid-July yields a fall crop that will keep in the garden until used. One of the most rewarding and fast growing crops to grow. Corn is delicious when cooked only minutes after being pulled off the stalk. Try a small plot of corn, working your way to a large field of several varieties. Last practical date to plant any corn variety is the first week in July. Must plant an early maturing corn variety. Planting kale mid-July through mid-August will yield an excellent harvest in the fall and winter. August is an ideal time to plant seeds for a second gardening season that can be as productive as your major early spring plantings. Late summer is the time to plant these vegetables and herbs. Start planting both bush and pole beans now that the soil and air are warmed up. Try a continual 7-10 day sowing of different varieties. This will give you continual bean crops and not one large harvest with wasted crop. Early August is the last practical sowing date. A great way to add nutrients to your soil for the following year is by growing winter cover crops this fall. Start in August so they get some good growth before winter comes. Sow lettuce in August for a fall crop. Try growing early harvest varieties that will produce a harvest before cold weather rolls in. Green peas and sugar peas are good to plant in August, and will produce a moderate fall harvest. A quick and easy vegetable to grow. Plant now and you can have them ready in 30 days. Spinach is more of a cool weather vegetable and is great to grow in August. Although September marks the beginning of fall, there are still a few fast growing vegetables that can be planted this month and be harvested before the first frost in most gardening zones. Remember to keep your soil warm by removing all mulch and maybe try using a plastic sheet to trap heat into the soil. Try these vegetables below and you can still take advantage of your garden this fall. Fall is the perfect time to plant blueberry plants. Planting in the fall will allow for good root growth and early growth this coming spring. If you live in a warmer climate and can find a quick growing Broccoli variety you can harvest well into November. Garlic is a vegetable that can be planted in the fall for a larger and earlier harvest this coming spring. Sow lettuce late summer for a fall crop. Grow fast maturing varieties. Spinach is more of a cool weather vegetable and is great to grow in September. Fall is here and many vegetables don’t have enough time to develop before your first frost. There are still a few vegetables that can be planted in October. Don’t be sad, you can still grow a lot of different plants inside. This is a great time of the year to clone some of your outside plants or grow them from seed indoors. Grow herbs on the windowsill! Growing flowers indoors can be a good way to pass the winter months. Try growing an indoor Amaryllis flower kit. These beautiful flowers will brighten up your house and give off a nice aroma. Growing sprouts indoors is fun, quick and a great way to spruce up salads and sandwiches. It doesn’t take much effort but you still get the reward of growing your own food. If you live in some warmer climates it is a perfect time to plant vegetables. Try some of the cool weather vegetables that can survive now that the summer heat is over. It’s time for the garden seed catalogs to arrive! Start planning your garden wherever you live. Try growing some fresh herbs inside on your kitchen windowsill.